"Bolt On" The Robot - Street Art On Bolton Street (Anna Doran), originally uploaded by infomatique. 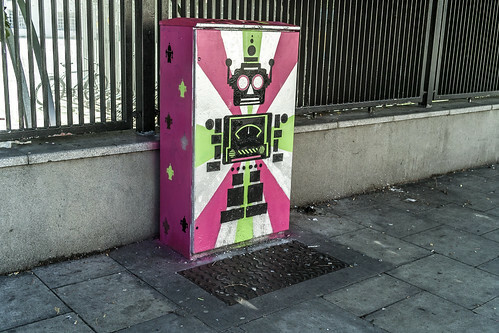 There is an exciting experimental project underway in Dublin at present and it involves Traffic Lights (actually the control cabinets) and Street Art. (2) Ormond Quay - "Bookcase" by Holly & Cathal. I have also located on the Flickr Map.